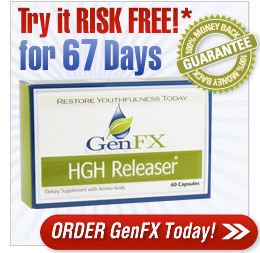 You've invited to try our product for 60 days (2 containers). That said, we must respectfully remind you not to ship back any product after the 67-day refund period has expired.And please note that we must limit refunds to one order per customer. So we want you to know, in the unlikely event that you’re not happy with the results you achieve with GenFX™, our team will quickly, respectfully process your refund request. So please be assured that your order will be shipped in plain, discrete packaging with a shipping label from "Natural Health Sciences." All orders are processed within 48 hours and then shipped via express courier - you’ll be sent a tracking number. Use 60 days’ worth of product (2 full containers). If you’re not happy with the results, return the unused portion of your order along with the 2 empty containers with 67 days of your delivery date. We’ll offer you a full refund - minus only your shipping fees.